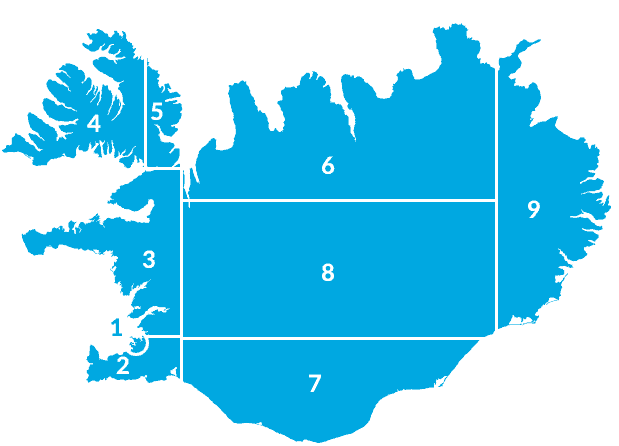 Glacier Breidamerkurjokull counts among the largest glacier tongues of the country. Its ice-flow has a southerly direction from the main firn of icecap Vatnajokull and carves the landscape on its way. Two large nunataks, Mavabyggdir and Esjufjoll, create middle moraines as well as other smaller ones. Presumably the wide and long valley, now filled with ice, was ice-free during the so-called Saga-period, and most of the icecap developed during the cold latter part of the Middle Ages and the Little Ice Age. The Saga of Njall the wise tells us about at least one farm in that valley, Breidamork, at the time. Up to the turn of the 19th century, the glacier tongue advanced until only 200 metres remained between its edge and the sea. Since then it has retreated considerably, especially after 1930, and the greater part of the Glacial Lagoon developed after that. The ice-free stretch between the ice-edge and the sea has not widened proportionally, because of the constant natural transport of sand from the beach. River Jokulsa grows shorter by the day and one day the bridge might collapse and close the ring road. Measures have been taken to prevent or delay this development, but it remains to be seen, how effective they are. If nature has its way, a bay is going to develope there, and if the reatreat of the glacier continues, the bay is going to get longer and deeper. The Iceland Glaciological Society owns two huts in the area, one on the outwash plain near the lagoon, and another on the nunatak Esjufjoll. Sometimes research expeditions start from the former. 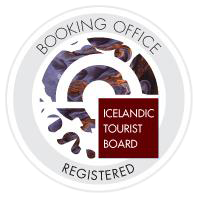 Breidamerkurjokull is on the Saga trail for South Iceland.